Have a concert in your car! Laser systems are used in the guns you see cops using on the side of the road. Its not about getting away with speeding…really! Let’s just face it, there are several times when the “suggested speed” is just not necessary. For example, a responsible driver should be able to increase their speed on the freeway between here and California where it is a straight shot for hundreds of miles and there are very few cars on the road, right? You are not endangering anybody, you’re just trying to get through a boring drive a little quicker! Generally speaking, if an officer is targeting a certain part of the freeway, it is because there have been some accidents or, for some other reason it is more unsafe to speed in that area than others. So, when a radar detector alerts you the presence of the officer, it is actually alerting you to an area that requires your immediate attention, from miles away! This way, you can adjust your speed to suit the situation before you encounter it. 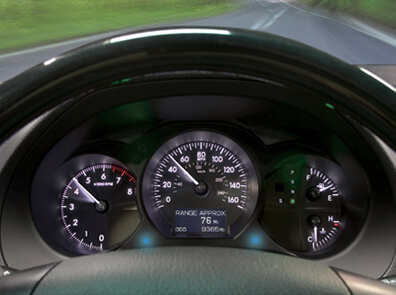 The only visible part of the RL series, is two leds mounted in your dash, no display or controller. Nice and clean! Many things, other than those intending to issue you a ticket, use radar and laser systems to detect your speed. The speed limit signs around school zones that show you your current speed, for example, use lasers to detect your speed. Now, I’m not sure about you, but I have had school zones sneak up on me in the past. But now that I have a radar detector, my attention is called to the fact that I need to check my surroundings, causing me to recognize the school zone and slow down. But, what about radar and laser systems that you don’t want to be notified about? 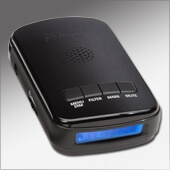 The K40 portable radar detector features the ability to mark locations and much more. location as one to ignore. From then on, any time you drive past that store and the detector receives that same signal, it will not alert you. However, if it receives the automatic door signal, and a signal from a police car, it will alert you. Pretty cool right!? At Chandler’s own Handcrafted Car Audio, just outside of Phoenix, we help you select the perfect system for your needs. 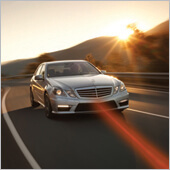 Once selected, we will professionally install your laser / radar detector to exacting OEM and industry standards.